Beside the standard RollerForks® there is a possibility to add some options that can make the RollerForks® more usable for your application. By using a foldable palletstop you prevent your goods getting damaged when handling a pallet from the long or short side. When pallets need to be taken on the short side, the palletstops is folded downward (the longest length) and when taken from the long side the palletstops are folded-up. When handling frozen goods reefer container is used with a special profile in the floor which is used for air circulation. 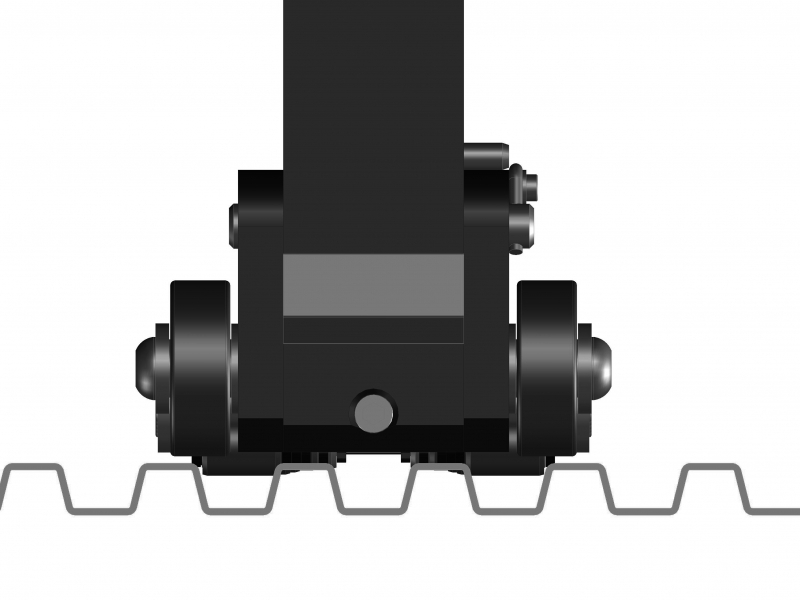 To prevent that the standard rollers will fall-in the circulation opening the rollers of the reefer RollerForks® are wider. Do you want to know more about ROLLERFORKS® applications? Cold storage containers typically have ribbed aluminum floors which allow for drainage of water from thawing or wash out. The fork blades on the RFCC series have a width of 270mm, (10.6”), to accommodate the wider rollers. An added benefit of the increased width is additional load support. Since the sizes of packaged frozen goods vary, the additional support can help accommodate a wider range of carton sizes and slip-sheet types. These forks also work well for receiving and palletizing Octabins, (combos), often used for meat, poultry and fish. The bins can be received on slip-sheets and placed onto in-house captive pallets in order to isolate wooden pallets from clean room environments. 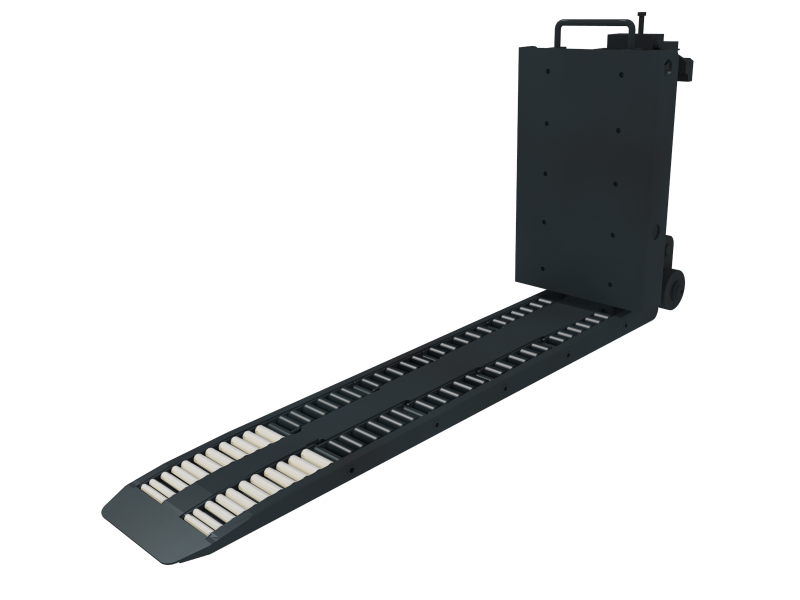 Optional Foldable Pallet Stops provide the value added benefit of limiting the effective fork length for use with variable load sizes. This helps prevent product damage and in turn, saves money for the end user. This option also allows 4-way handling of unit loads which have differing length and width dimensions. In other words, any loads which are not square. Since the latter is rare, the foldable pallet stop can be quite handy for retrieving which may be pin-wheeled, (turned sideways), within containers.